One of Hardy’s most powerful novels, The Mayor of Casterbridge opens with a shocking and haunting scene: In a drunken rage, Michael Henchard sells his wife and daughter to a visiting sailor at a local fair. When they return to Casterbridge some nineteen years later, Henchard—having gained power and success as the mayor—finds he cannot erase the past or the guilt that consumes him. 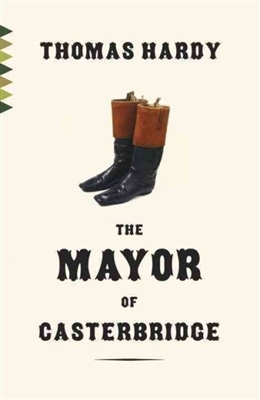 The Mayor of Casterbridge is a rich, psychological novel about a man whose own flaws combine with fate to cause his ruin. This edition reprints the authoritative 1912 Wessex edition, as well as Hardy’s map of Wessex.